Inhalants are volatile substances that produce chemical vapors that can be inhaled to induce a psychoactive, or mind-altering, effect. 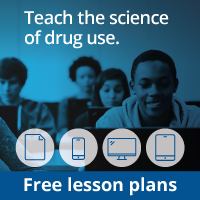 Although many parents are appropriately concerned about illicit drugs such as marijuana, cocaine, and LSD, they often ignore the dangers posed to their children from common household products that contain volatile solvents or aerosols. Products such as glues, nail polish remover, lighter fluid, spray paints, deodorant and hair sprays, whipped cream canisters, and cleaning fluids are widely available yet far from innocuous. Many young people inhale the vapors from these sources in search of quick intoxication without being aware that using inhalants, even once, can have serious health consequences. National surveys indicate that nearly 21.7 million Americans aged 12 and older have used inhalants at least once in their lives. NIDA's Monitoring the Future (MTF) survey reveals that 13.1 percent of 8th-graders have used inhalants. 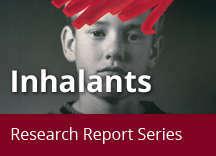 Parents and children need to know that even sporadic or single episodes of inhalant abuse can be extremely dangerous. Inhalants can disrupt heart rhythms and cause death from cardiac arrest, or lower oxygen levels enough to cause suffocation. Regular abuse of these substances can result in serious harm to vital organs, including the brain, heart, kidneys, and liver.